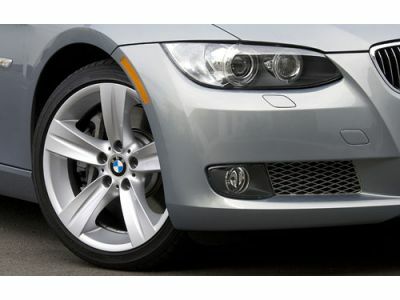 Why – And When – You Should Have Your BMW Tires Balanced | Atlantic Autowerks Ltd. If your tires are out of balance, they could be wearing unevenly, creating harmful vibrations and causing unsafe driving conditions. Because of this, it's important to regularly have your tires inspected, mounted and balanced. Today, we're going to talk a little bit more about what tire balancing is, why your BMW vehicle needs it and how regularly you should have the service performed. During tire balancing, your vehicle's tires and wheels are completely removed. They are then placed on a balancing machine that ensures that they are properly weighted and balanced around their axles. Next, lead weights are attached to the tires, making up for any unintentional weight differences. Afterwards, the tires are remounted on your vehicle. While it may seem like a relatively simple process, tire rebalancing helps your vehicle perform at optimal levels. It creates a more comfortable, less bumpy ride and reduces wear and tear on your tires' treads. Most importantly, it minimizes vibration in your steering wheel, floorboards and seat, ensuring that you aren't distracted by unintentional sensations while driving. Typically, professionals recommend that you have your tires balanced every 3,000 to 5,000 miles. This falls roughly in line with your BMW oil change schedule, meaning that you can have several of your vehicle's maintenance tasks performed at the same time. Additionally, Atlantic Autowerks recommends having your tires checked if you're experiencing vibrations when driving on the highway or unusual wear on your tires' treads. At Atlantic Autowerks, we're the area's go-to provider of MINI and BMW services. From oil changes and tire rotation to brake flushes and tire rebalancing, we provide all of the expected Inspection 1 and Inspection 2 services. If you've been looking for a place to take your BMW or MINI for regular maintenance, contact us today or stop by for a visit!